Thursday, June 15, 2017 by Isabelle Z. Several high-ranking officials who were involved in the deadly Flint water crisis have been charged with involuntary manslaughter as prosecutors filed the most serious charges seen so far in the criminal investigation of the matter, and some of the information that has come to light in the case about their careless attitude is nothing short of shocking. The Director of Michigan’s Department of Health, Nick Lyon, was hit with involuntary manslaughter charges as well as misconduct in office. He is facing a stint of up to 15 years in prison as well as a $7,500 fine on the manslaughter charge along with up to five years in prison and a $10,000 fine for the count of misconduct. He’s the highest-ranking person in Governor Rick Snyder’s administration to be charged so far. 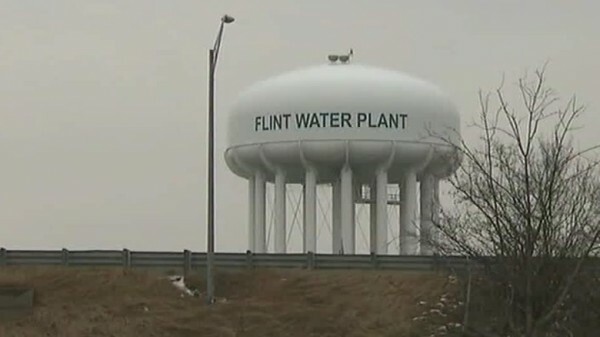 Also facing charges of involuntary manslaughter for their role in failing to tell the public about a Legionnaires’ disease outbreak in Flint are Michigan’s Department of Environmental Quality Drinking Water Chief Liane Shekter-Smith, Flint Emergency Manager Darnell Earley, Flint Water Department Manager Howard Croft and Michigan Water Supervisor Stephen Busch. The four were already facing other charges related to the incident. While under state emergency management, the city of Flint started to use water taken from the Flint River without treating it to reduce corrosion. Shortly thereafter, residents began to complain of illnesses and rashes from the water, which had also taken on unusual colors and odors. When toxic lead from old pipes leached into the water, many residents were forced to use bottled water after several children developed lead poisoning. The water has also been linked to a Legionnaires’ disease outbreak in 2014 and 2015 that killed 12 people and infected at least 79 others. A sixth person, Michigan Chief Medical Executive Dr. Eden Wells, was charged with lying to an investigator and obstruction of justice. A total of 15 former and current government officials have now been charged by state Attorney General Bill Schuette as the 17-month probe continues. Perhaps the most outrageous part of the report was the fact that the water problem had a very simple and affordable solution in the form of common anti-corrosion chemicals that would have only cost the city $200 per day and could have saved dozens of lives and preserved the health of countless individuals who were poisoned or sickened. When you sit back and do nothing while children suffer from lead poisoning – of which the effects on the central nervous system are irreversible, by the way – and let people die from Legionnaire’s disease, you should be held accountable. To this day, Flint residents are still advised to use filtered tap water, but many of them feel like they still can’t trust state and local officials and prefer to err on the side of caution and use bottled water. If they’ve learned one thing from this tragedy, it’s that their government officials cannot be trusted.